Before teaming for the new Ghostbusters, director Paul Feig and his Bridesmaids & The Heat star Melissa McCarthy are teaming up for a completely different kind of comedy. The duo are next tackling the espionage genre with Spy! And judging from advanced screening reviews, it just may be the comedy hit of the summer when it hits theaters this June. 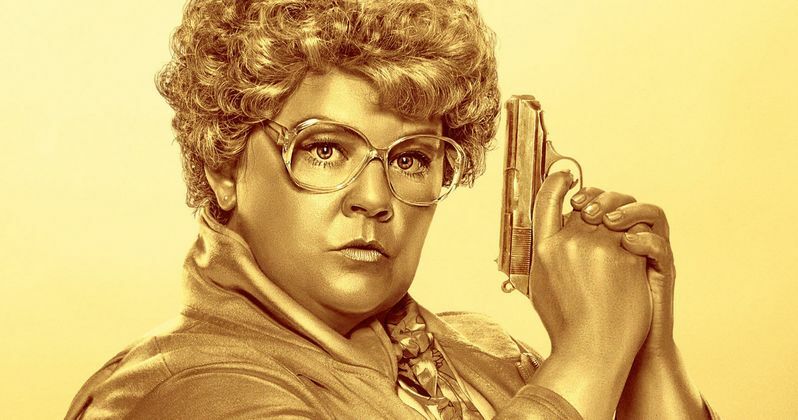 Susan Cooper (Melissa McCarthy) is an unassuming, deskbound CIA analyst, and the unsung hero behind the Agency's most dangerous missions. But when her partner (Jude Law) falls off the grid and another top agent (Jason Statham) is compromised, she volunteers to go deep undercover to infiltrate the world of a deadly arms dealer, and prevent a global disaster. Check out the latest footage, then be sure to RSVP your tickets right this second, if you want to see the movie tonight!